The toll from the recent California wildfires is nothing short of devastating. Over 200,000 acres of land stretch across several counties in Northern and Southern California have been scorched. Within those areas, 7,000 structures were damaged or destroyed altogether. Early estimates put the costs of those losses $1 billion but that number is sure to climb. The fires on the control, the clean up effort begins. As with any type of natural disaster municipal services are stretched thin. That is why homeowners and businesses often turn to private contractors to help with their debris cleanup. Junk King Chico is a dependable and professional junk removal service that is standing by to provide dedicated cleanup assistance. Junk King Chico understands how stressful these types of cleanups can be. That is why they want to provide you with the best help possible to get this task handled in the shortest amount of time. Every junk removal session will be staffed by at least two very friendly and capable. This is the team that you’ll direct during your appointment. You literally only have to point to the things you want taken away and the crew will quickly load them onto the truck. It doesn’t matter how damage something might be or how dirty it is. The only focus is to efficiently get rid of all that debris. 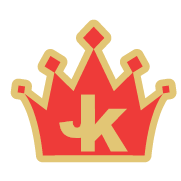 You can set up your appointment with Junk King Chico online or over the phone. The details they’ll be asking for are the best two-hour window in your week to accommodate the removal. This doesn’t mean it’s going to take two hours for the cleanup but instead that gives the crews plenty of time to get from one destination to the other. If your cleanup is extreme, then Junk King will provide additional trucks and crews to get the job done. All of that is included in the flat rate that is based on volume and not weight. You should never be charge by the pound to get rid of debris. When you’re ready to tackle your debris cleanup, Junk King Chico will be ready to lend a hand. Book them today. This entry was posted in Chico Junk Removal and tagged debris cleanup, fires, Junk King on October 22, 2017 by Junk King. Last updated October 22, 2017 .